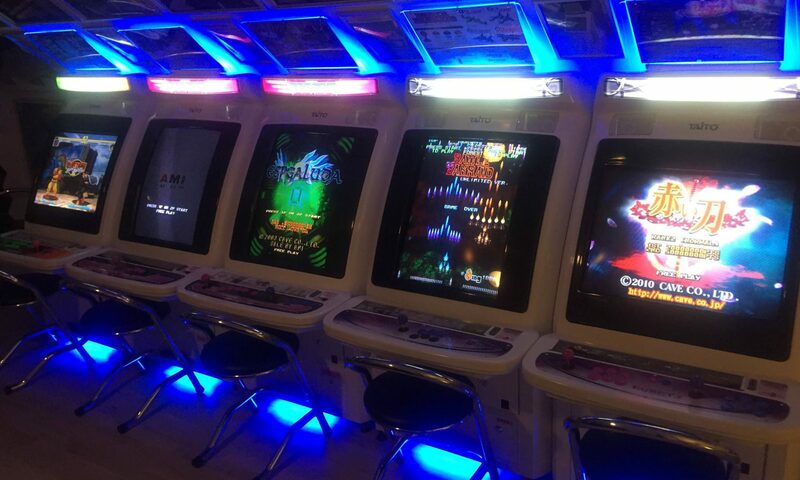 Arcade Otaku – forum, wiki and chat about arcade games and cabinets. Great place with loads of nice and helpful people. Also has a marketplace for trading arcade games, parts and anything related. Arkadtorget – swedish forum about arcade games and pinball games. Shmups forum – forum mainly about shmups but also has an area for hardware related discussions and a trading post. World of Arcades – hi-res artwork, images of PCB’s etc for CAVE shooter and some more. International Arcade Museum – the world’s largest educational center of the art, inventions, science, and history of the amusement and coin-operated machine industries. Arcade Otaku – AO also has a Wiki covering both arcade hardware and games. Hard*Candy – Wiki project dedicated to documenting Japanese candy cabs. Solvalou – Arcade PCB DIP switch settings plus some tech articles. Excellent Arcade Online Shop (HK) – Mostly games but also some spare parts. SOPHIA Corp (JP) – Games and complete machines. Hey…just curious if you still have the spare Atomiswave SD bezel from your canceled project. If you do, I would be very interested in purchasing it from you. I’ll fwd your email to Monouchi. Not sure if he still has it though.